You are guaranteed a blast from the past with the Romain Vuillemin Quartet! This 1930s-1960s ensemble will woo you with its slow dances, swing you to a flapper frenzy, and enchant you with nostalgic tunes from a bygone era. Django Reinhardt, Stéphane Grappelli, Charles Trenet, Louis Armstrong … all the ingredients are there for a swinging trip down memory lane. 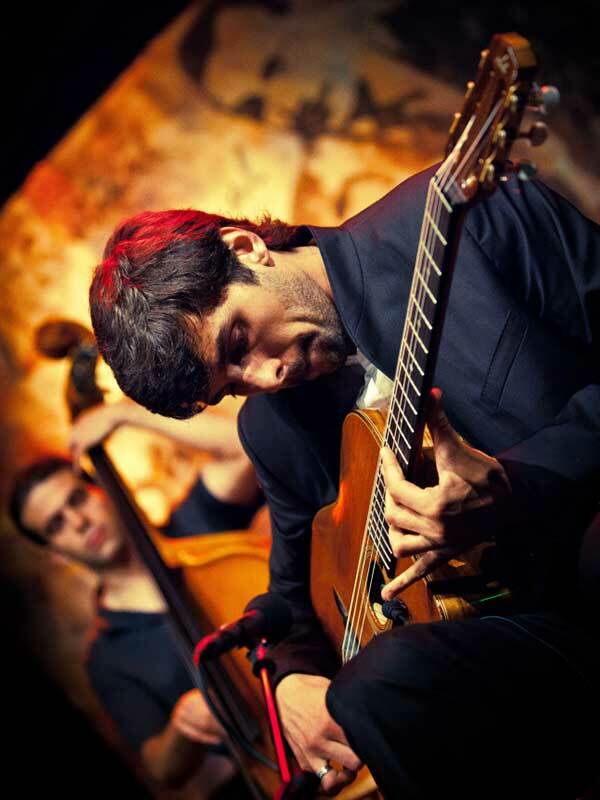 The Romain Vuillemin Quartet has performed across the globe in prestigious venues such as the Montréal Jazz Festival, Stockholm Jazz Festival, and the Django Reinhardt Festival, as well as in the most prestigious jazz clubs of Paris like the Duc des Lombards and the Sunset. Following their first album Swinging in Paris (2015) – which Vuillemin has called a “tribute to Django’s music” – the group’s second album, Why not? (2018), promises to be equally successful. While Django remains a key influence, Why not? also finds inspiration in Sydney Bechet and Fats Waller, and features performances by Jean Dousteyssier on clarinet, Benjamin Dousteyssier on alto sax, and Mathieu Naulleau on piano. Presented on the main stage of the Festival Django Reinhardt, where the quartet was awarded a top prize, the album is already hailed as a triumph by the French critics, including Révélations Jazz Magazine, TSF Jazz, and Jazz News.